Pending a decision next week by the Calgary City Council, new Calgary Flames arena negotiations could resume in the very near future. Calgary officials have been increasingly exploring the possibility of resuming serious arena negotiations with the Flames. 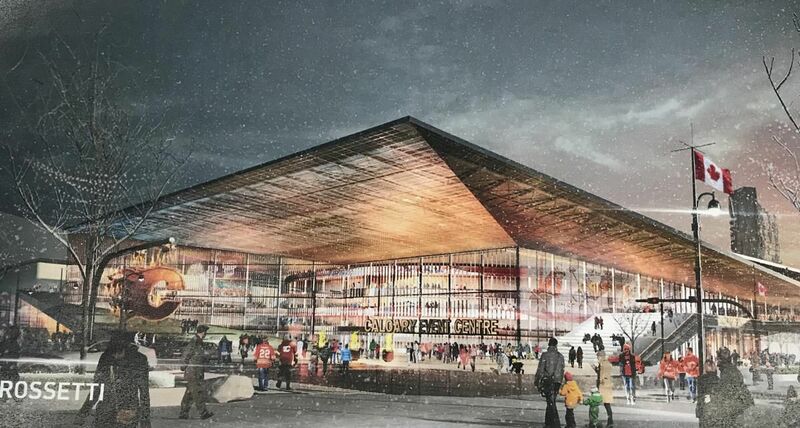 An idea that has been floated would see a new arena serve as an anchor for a larger development initiative in Victoria Park, while providing the Flames with a modern replacement to the Scotiabank Saddledome. A council committee approved the package after a two-hour closed door meeting on Wednesday. Committee chair Coun. Jeff Davison said if council approves the strategy talks with the owners of the Calgary Flames could start as soon as possible. “That’s not to say that these things happen overnight. I mean obviously, there’s a lot of work that would still have to happen behind the scenes. There’s a lot of documentation that has to go into deals like this,” said Davison. The committee also heard that a source of city funding for its share of an arena deal with the Flames has been found. Just how the particulars of a deal could come together remains to be seen. For now it is known that the Calgary Municipal Land Corp. has released an estimate that a new arena could cost upwards of C$600 million, a price tag that does not factor in land the city could contribute nor expenses for addressing the future of the Saddledome once its replacement opens. Hopes of reviving discussions with the Flames come after previous talks broke down in the fall of 2017, hitting a stalemate because the Flames and city could not resolve considerable differences over the economics of the proposal. As noted, the new arena would replace the Saddledome, which opened in 1983 and is currently the second-oldest facility among full-time NHL arenas.